Do the mutants of The Gifted have enough power to attract viewers to watch the second season of the FOX series? As we all know, the Nielsen ratings typically play a big role in determining whether a TV show like The Gifted is cancelled or renewed for season three. Unfortunately, most of us do not live in Nielsen households. Because many viewers feel frustrated that their viewing habits and opinions aren’t considered, we’d like to offer you the chance to rate all the season two episodes of The Gifted here. **Status update below. A sci-fi superhero drama, The Gifted stars Stephen Moyer, Amy Acker, Sean Teale, Jamie Chung, Coby Bell, Emma Dumont, Blair Redford, Natalie Alyn Lind, Percy Hynes White, Skyler Samuels, and Grace Byers. Based on a Marvel Comics alternate timeline, the show follows two ordinary parents with mutant children who go on the run from the government and join an underground community of mutants. In season two, several mutants have left the group to join the Inner Circle and the two groups conflict due to having very extreme and different ideologies. What do you think? Which season two episodes of The Gifted TV series do you rate as wonderful, terrible, or somewhere between? Should FOX have cancelled or renewed The Gifted for a third season? Don’t forget to vote, and share your thoughts, below. 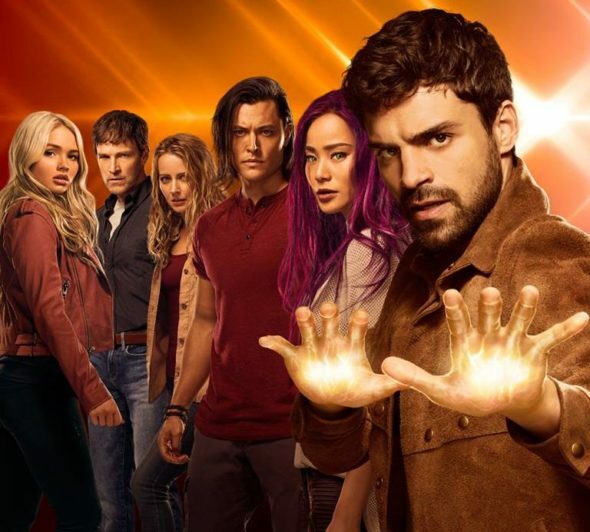 **4/18/2019 Status Update: The Gifted TV show has been cancelled by FOX. Details here. More about: FOX TV shows: canceled or renewed?, The Gifted, The Gifted: canceled or renewed? Why would you even consider canceling a Marvel production. Their efforts are making so much money to cancel one of their show would only show lack of insight on your part!! Great show,we need more of these shows like we need legacies!! Please please please don’t cancel the gifted, I love this show, there is a lot of crap shows on TV this show of the gifted you can watch with your family. The Gifted is a great show. FOX hasn’t had any decent shows since Prison Break until this show came out. They probably just need to air it on a decent day if you’d want more views. I love the show. Please don’t cancel it. PLEASE DONT’ CANCEL THIS AWESOME SHOW!!!! There is so much crap that gets renewed year after year, The Gifted is amazing and entertaining PLEASE DON’T CANCEL IT! Do not cancel this show!!! I agree ten fold please do not cancel!!!!! !